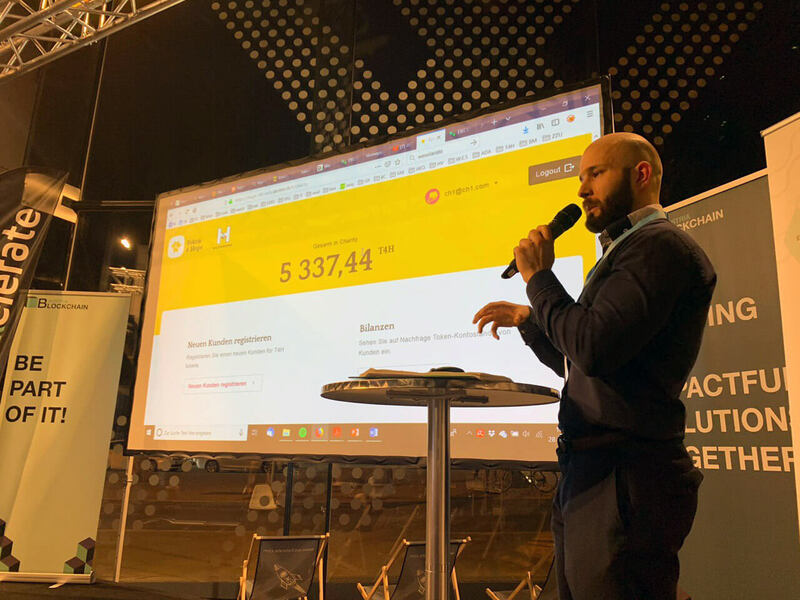 Vienna, Austria – March 29, 2019 – Token4Hope, the first official implementation of a blockchain-based charity system known as Humanity Token, held a public event on Thursday, March 28, 2019, in Vienna, Austria to showcase the project’s successes to date. The high-profile event, hosted by Blockchain Austria, endorsed Humanity Token and Token4Hope’s overall achievements up to date, the technology used behind the project and its plans for future participation in the global market. The event was attended by numerous influential journalists and industry experts, including Matteo Landi from UNIDO, CFO Simon Blatzer from Wiener Hilfswerk, CEO Christoph Zinganell from Collective Energy, and Matej Michalko, Founder and CEO of DECENT. Token4Hope is a joint-project developed in cooperation with DECENT, Collective Energy and HumanVenture, aimed at helping indigent individuals and families in Vienna, Austria. The project runs on DECENT’s DCore blockchain technology, which helps the donations to be stored transparently and securely – allowing donors to track their contributions and observe the actual usage of their donated money. Its users – specifically, individuals living in impoverished conditions – are not required to have any prior knowledge about the technology the application runs on, and are only obliged to carry a [SOMA] card containing T4H tokens, through which they can redeem the tokens for goods. Token4Hope is also the winner of the prestigious eAward 2019. Humanity Token, together with its implementation, Token4Hope, aims to further enhance charity donations and incorporate its distribution system to even more fields, such as education and healthcare.